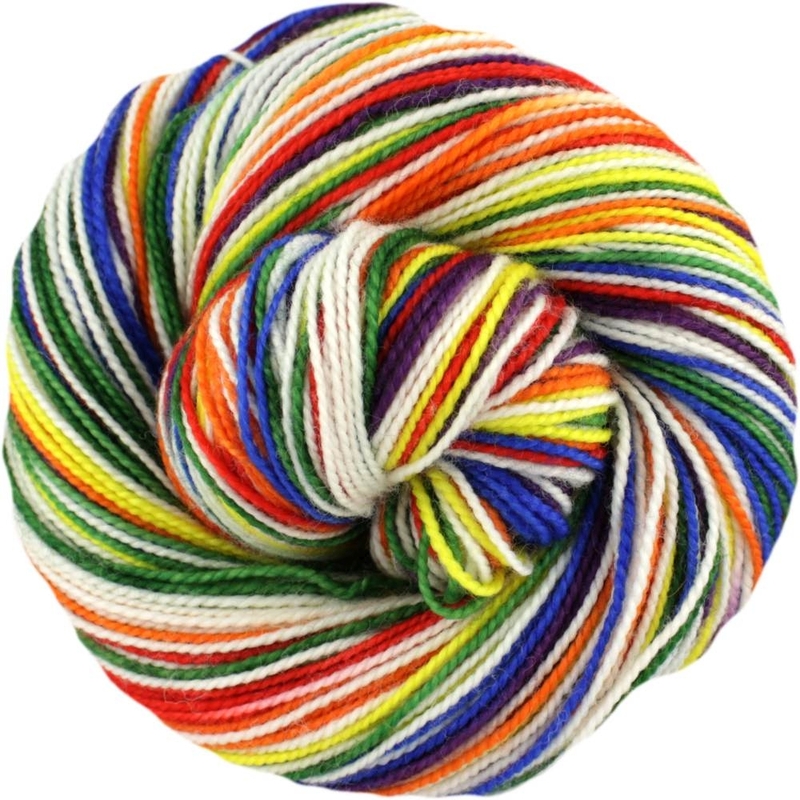 I've had rainbows on the brain for quite some time, and the planets aligned this update to allow me to give you not one, but FOUR different rainbow colorways, as well as a colorway that I apparently only dyed once about 8 years ago. First up is Prism. This one has 7 rows each scarlet, orange, yellow, green, sapphire, and purple divided by 3 rows of charcoal. In optics, a prism is a transparent optical element with flat, polished surfaces that refract light. At least two of the flat surfaces must have an angle between them. The exact angles between the surfaces depend on the application. The traditional geometrical shape is that of a triangular prism with a triangular base and rectangular sides, and in colloquial use "prism" usually refers to this type. Some types of optical prism are not in fact in the shape of geometric prisms. Prisms can be made from any material that is transparent to the wavelengths for which they are designed. Typical materials include glass, plastic, and fluorite. A dispersive prism can be used to break light up into its constituent spectral colors (the colors of the rainbow). I have sock sets in this colorway here. 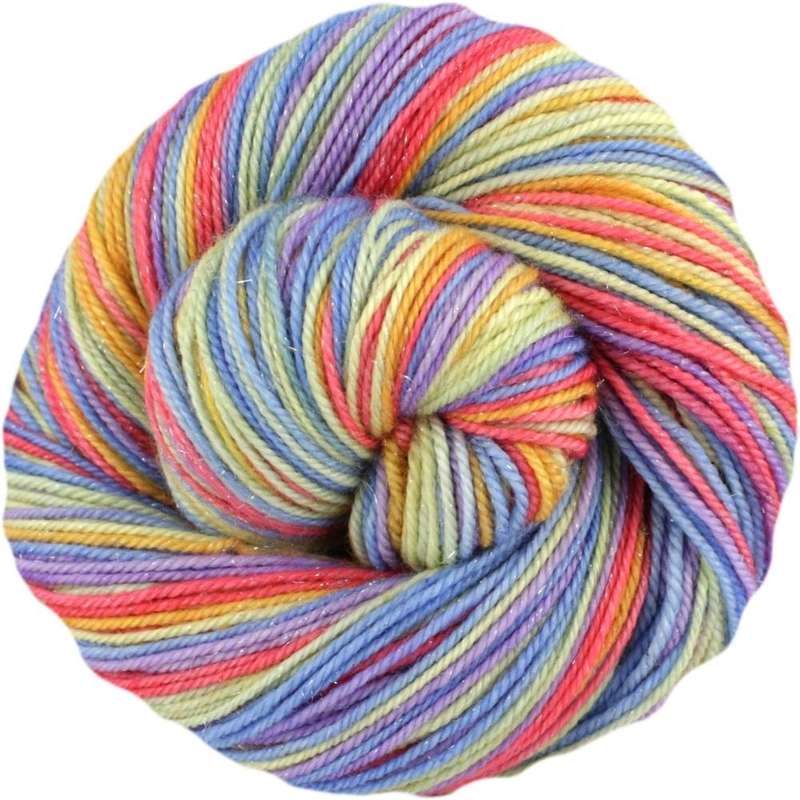 Refraction is a brand new colorway coming to the shop this week! This one has 7 rows each scarlet, orange, yellow, green, sapphire, and purple divided by 3 rows of white/undyed. Refraction is the change in direction of wave propagation due to a change in its transmission medium. In optics, refraction is a phenomenon that often occurs when waves travel from a medium with a given refractive index to a medium with another at an oblique angle. At the boundary between the media, the wave's phase velocity is altered, usually causing a change in direction. 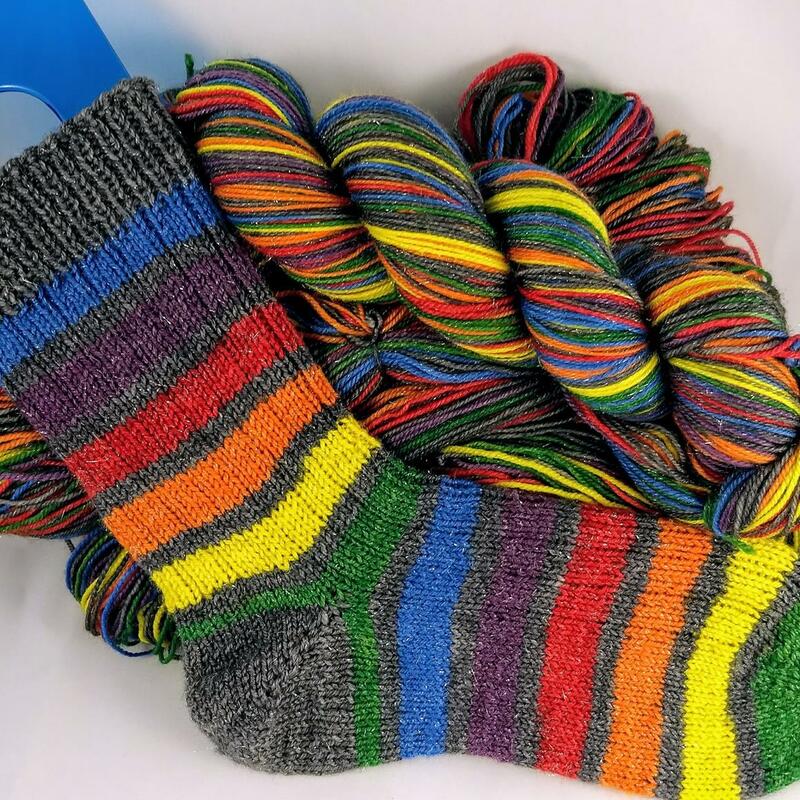 Restocking this week is the ever popular Trifoliumhttps://store.selfstriping.com/collections/other-stripe-even-width/products/trifoliumcolorway. 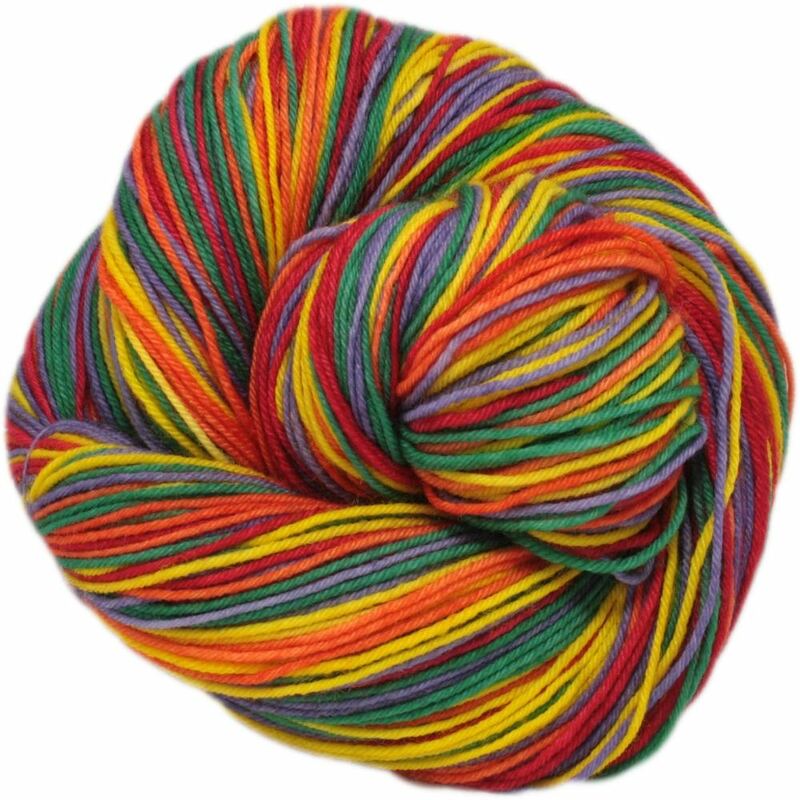 I think this may be my most popular colorway, though this one and Kinetic Energy seem to fight it out depending on who's blogged about it last. Trifolium has 6 rows each red, orange, yellow, green, and purple. Clover or trefoil are common names for plants of the genus Trifolium. Since I originally did this colorway for St. Patrick's day, I named it after the lucky 4 leaf clover is often associated with the holiday. I am so happy with this colorway I could burst. I was asked by a customer a few months ago if I could do a pastel rainbow, and I finally had some time this week to put the idea to the dyepots. Dilution has 6 rows each pale poinsettia, pale orange, pale yellow, pale pistaschio, pale blue, and pale violet. Dilution can refer to a lot of things, but my favorites are dilution genes are a popular term for any one of a number of genes that act to create a lighter coat color in living creatures. Diluted coat colors have melanocytes, but vary from darker colors due to the concentration or type of these pigment-producing cells, not their absence. Pigment dilution, sometimes referred to as hypomelanism, has been called leucism, albinism (perfect, impartial, or dilute), ghosting, paling, and isabellinism. Dilution can also refer to reducting the concentration of a chemical or solute, in this case, the concentration of color in the rainbow. Doppler Shift is a colorway I did for a custom order many many moons ago, and I never had a chance to dye another batch. I love this colorway, but it is incredibly difficult to photograph. The fucshia, being fluorescent, likes to reflect the light from my photobooth and dim out the other two colors, but I assure you in real life all three are nice and saturated. 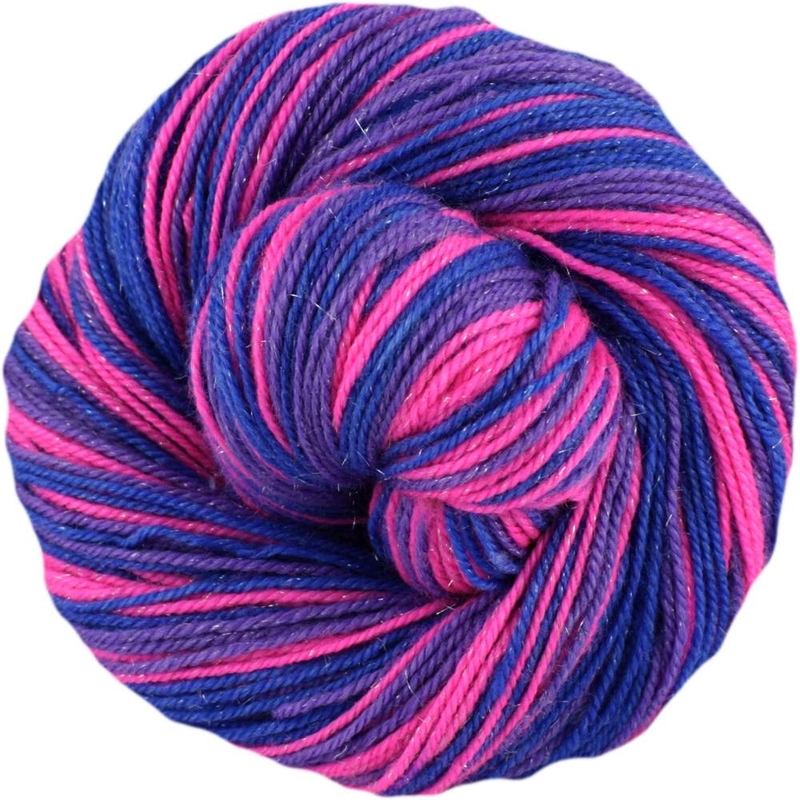 Doppler Shift has 10 rows each fuchsia, lilac, and sapphire. The Doppler effect (or the Doppler shift) is the change in frequency or wavelength of a wave for an observer who is moving relative to the wave source. If you follow me on Facebook or Ravelry, you'll already have seen this so feel free to scroll on past. I just wanted to let you guys know that after this update a few changes are going to be happening to my dyeing habits. You may or may not have heard that my yarn is now being carried by Eat Sleep Knit. In order to make sure I can provide enough yarn for both ESK and my own shop, I am going to change up what yarn bases I’m going to be dyeing. From the after the next update onwards I will only be dyeing my main four yarns (Continuum, Orbit, Entanglement, and Inertia) regularly. However, I will continue to carry my other yarns and will be happy to dye them for you as a custom order, or if you select that base using the “notify me when available” button on my website. New colors will be dyed up on most if not all bases so I can photograph them. Erin at ESK is amazing and is happy to take whatever colors I send her, so I will be able to continue to make new colorways and restock old ones as I have been. I wanted to also thank those of you who brought me to ESK’s attention-- I had been asked to wholesale back when Z was still a toddler and had passed on the opportunity, but with my little one having started school I’m happy to be given another chance.